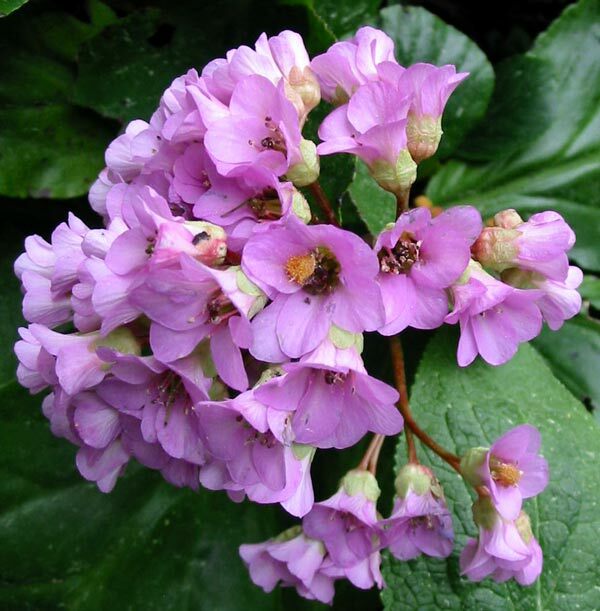 It must seem funny having pictures of huge flower heads in the foliage plants pages, but this is exactly where Bergenias belong. 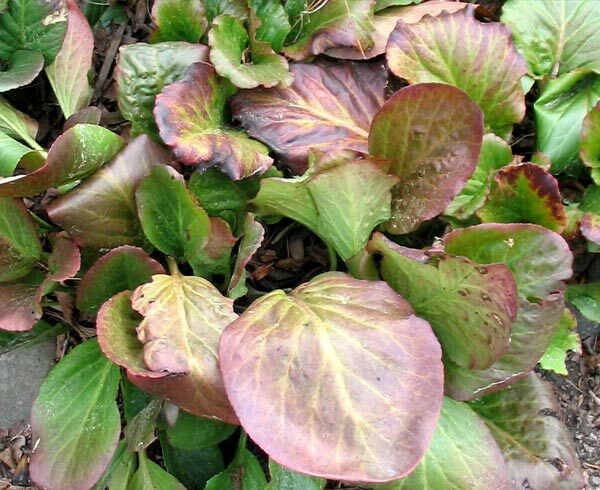 For most of the year they are the perfect foliage plant. Their huge flowers mid-spring are a wonderful bonus. Some of my bergenias give red leaf colour in Autumn. They then need a quick winter clean-up, and maybe a split-up. In the middle of spring their thick flower stems reach ever upwards. 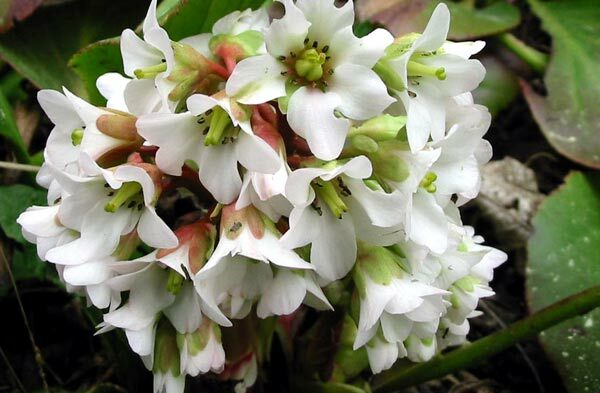 The white-flowering Bergenia is a Blooms of Bressingham Nursery variety, and I also grow a deep pink which I'm sure is also from the same breeder in England. In my pre-Moosey days I personally visited this famous nursery! The worst disaster that befalls my Bergenias is a galloping dog - torn leaves are not a pretty sight - thanks, Taj-dog! I wonder about snails though - thankfully the Moosey Garden is snail-free.